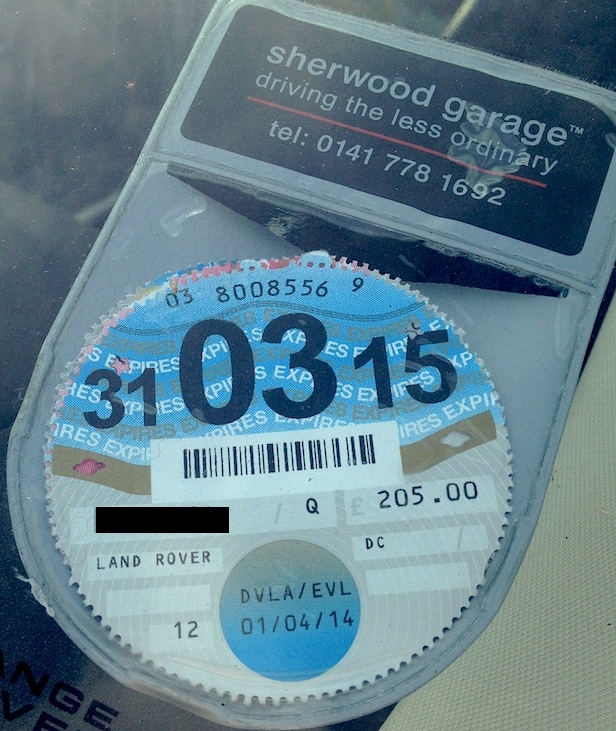 YOU’VE PROBABLY HEARD that the rules regarding road fund licences and tax discs are changing. These changes start from today, 1st October 2014, and if you own a vehicle that needs a tax disc at the moment, you really do need to understand what’s happening, and what it means to you. The chances are that the main thing you’ve heard regarding the changes is that you will no longer be required to display a tax disc on your vehicle windscreen, but our guide to the changes tells you all you need to know about what is going to change, and what you need to do, or do not need to do going forward. 1. Do I still need to buy a tax disc after October 1st? You will still need to keep your vehicle taxed. The most noticeable difference is that you will no longer get a paper disc to put in the windscreen to show that you have paid. If you lease your vehicle though, you may have even less to think about as the leasing company normally pays the road tax. Not all contract hire agreements include the tax. The only difference is that they won’t be sending you a paper disc in the post anymore to put in your vehicle. 2. How will anyone know that I have paid my road tax? Like most things these days, the records of which vehicles have and haven’t got a current road fund licence is being stored electronically, along with whether the car is insured and if it has a current MOT. The authorities will be able to find out if your vehicle is taxed by checking online with your registration number as they have been able to do for a while, but everyone will now be able to check if a vehicle is taxed in just the same way by going to the relevant site. 3. Does that mean that anyone can also check insurance and MOT details online? No. Only the relevant authorities will have access to insurance and MOT details. Private individuals will only be able to find out if a vehicle is taxed or not. 4. What happens when I sell my vehicle? There’s actually some good news as far as selling your vehicle after October 1st is concerned. At the moment, it is up to you to send your tax disc in to the DVLA if you want a refund of any remaining tax when you sell your vehicle. That process will now be done for you automatically when you send in your V5 document to notify them of the vehicle’s change of owner. If a refund is due, it will be sent to you without the need for you to claim it. The potential downside is that you now cannot sell your car with the remaining tax staying with the vehicle to make the transaction smoother for the new owner. 5. What do I have to do if I am buying a vehicle? If you are buying a used or a new vehicle from a dealer, you will have to tax it in pretty much the same way as you would have done anyway. The big difference is that you won’t be able to buy a used car with any remaining tax on it as it will have been cancelled when the previous owner notified the DVLA. This will probably be one of the most inconvenient changes when it comes to buying a used car from a private seller, as you will have to tax the car yourself before you drive it away as you cannot drive it on their remaining road fund licence. 6. If I tax a used vehicle, won’t that mean that there are two lots of tax on the same vehicle? Even before the changes, you cannot claim the tax back on a car when you sell it if you have less than one month of road fund licence left. Before October 1st, you send your tax disc away for a refund when you have sold the car and the new owner will have taxed it as well, so there isn’t really a big change in that respect. There will be an overlap of one month when two lots of tax are on the same vehicle when it has been sold to a new owner. 7. How do I tax a vehicle after October 1st? Taxing a car has got a lot easier in the last few years and that will continue to be the case after the changes come into effect. You can tax a vehicle using the New Keeper Supplement (V5C/2) part of the vehicle registration certificate (logbook) online, or by using the DVLA’s 24/7 phone line 0300 123 4321. For those that aren’t comfortable with online systems, you will still be able to pay for your road tax by going to the Post Office. Things will get better for those of us that don’t want to pay all the cost of a road fund licence in one go after the changes come in, as the option will then be available to pay monthly via direct debit. This option will not be available though, if a new vehicle is being taxed for the first time. Direct debit payment will be available for any vehicle needing a new RFL after November 1st 2014. 8. Why are these changes happening? The more cynical commentators will say that the changes are designed to make more money for The Treasury, which to some extent is true. Realistically though, the changes actually represent a general modernisation of a somewhat archaic system that needed to be brought into the 21st century. The abolition of the paper disc will obviously save money on printing and postage for the DVLA. However, the changes could actually cost the government more money than it saves as everyone will now get their remaining tax refunded automatically when they sell a vehicle, whereas many people didn’t used to bother when it meant getting a form from the Post Office and sending it off. http://fvl.cc/taxed – Is a vehicle taxed or not? This entry was posted in Car Leasing, Cars, News and Views and tagged Company Car Tax, DVLA, tax disc by David Petherick. Bookmark the permalink.